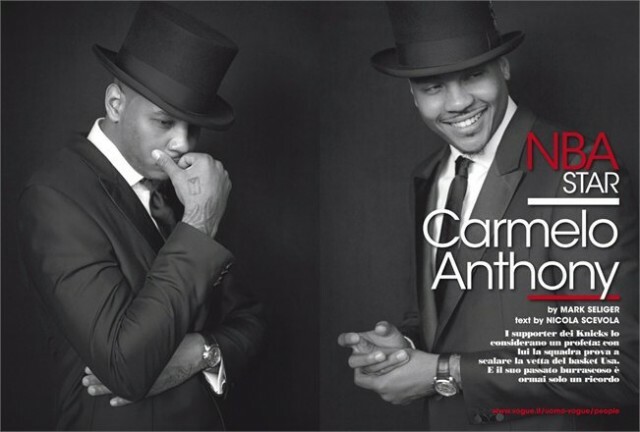 New York Knicks player Carmelo Anthony got all dapper for the July/August issue of L’Uomo Vogue. 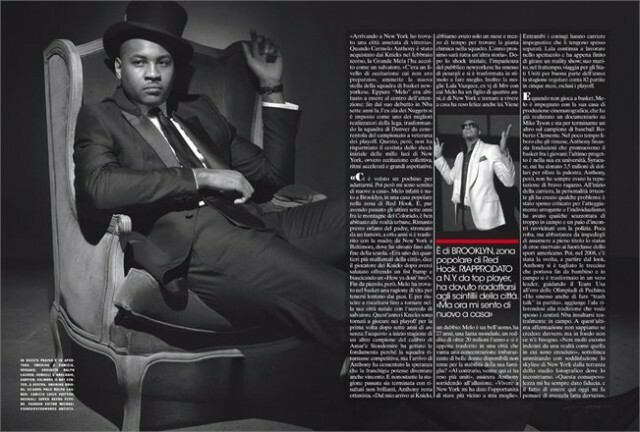 In the spread, the Brooklyn native is wearing a suit and top hat. 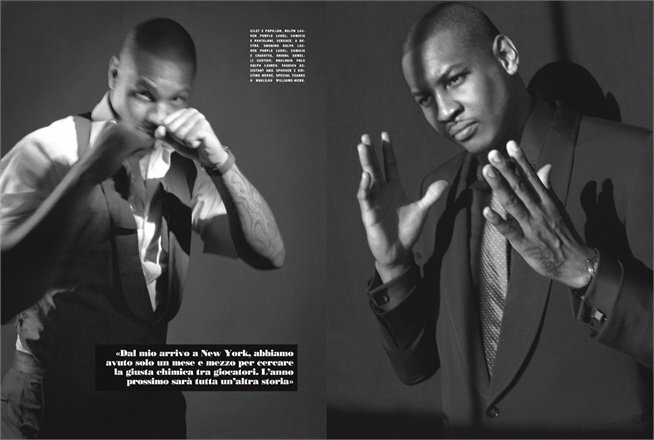 Melo poses in a black and white photo spread for the Italian Men’s Fashion Magazine.